For All Your Unwanted Vehicles! At Cash For Cars Removal Perth, we will take care of all your unwanted, unloved, old, broken, used, scrap and damaged vehicles including cars, trucks, 4WD & AWD and all utility (utes) and commercial vehicles. We accept all makes and models from car manufacturers – from Toyota’s, Ford’s and Holden’s to European and American made vehicles. Regardless of whether the vehicle is dead or alive, registered or unregistered, shiny or rusty, brand new or been around the country a few times …. If you’re selling it, we’ll buy it. And we’ll pay top dollar too! We provide a friendly and prompt 24/7 pick up cars for cash service Perth wide. Call us today for an instant quote for scrap car removal and sell your junk car FAST! Provide all the correct details when you call and the price we quote will be honoured. We have partnered with other car removal company. Please click here to visit our partner website. We will remove your Vehicle anywhere in Perth! Time is money! We provide a prompt, 2 hours or less car removal service across Perth with payment made instantly and include collection of your vehicle. We’ll come to you! We cover all areas in Perth, like Eastern Suburb, Northern Suburbs, Southern Suburbs and Western Suburbs. We have been operating in the Automotive Removals and Automotive Scrap and Recycling industry for many years and are proud to offer you an exceptional & professional service. There no Hidden charges, late fees or on call fees. We listen all your problems and concerns in vehicle removals. We always happy to help you with all the paper work relating to vehicle removals. For more information in relation to disposing your cars, please visit Department of Transport WA. We guarantee your satisfaction with our quick within 2 hours or less car removal from your call. We will remove everything from your yard FOR 100% FREE OF CHARGE. Book us now for a free vehicle removal. We open 24 hours and 7 days a week, you can contact us anytime on (08) 6355 5436. We happy to remove any Korean, Europe, American and Japanese vehicles. Some of the most popular brands are like Toyota, Nissan, Ford, Holden, Hyundai. For the Complete list, please visit Cars Guide for more information. 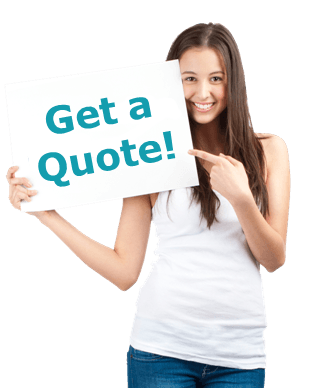 Get Instant CASH– Call Us NOW! !